Let’s talk about food allergies today. Dogs are very similar to people they are both mammals and eat similar food types. Just as in people dogs can have allergies to different food items, such as wheat, and grains. People may feel some dogs are prone to more allergies than others however this maybe in relation to a breeder or inbreeding. Allergies can be genetic. Just to be clear there is a difference between an allergic reaction and a food intolerance. Think in terms of a person having an allergic reaction to a food item such as nuts peanuts they can die breathing is cut off or have hives. A food intolerance such as with gluten (not referring to Celic disease) can cause upset stomaches, headaches, chronic diarrhea. For dogs such as Cocker Spaniels, retrievers, pit bulls, German Shepard, dachshunds may have allergies. The common foods for allergic reactions are lamb, soy, wheat, eggs, chicken, rabbit, beef. Dogs can have an allergy to more than one item. My dog will beg for pizza crust. I think he is looking for any extra piece of cheese. Pumpkin is a good gas reducer for your dog, Great Dane, Border Collies, Boxer, Bull Terrier, Greyhound. With any medical issues your first stop will be at the veterinarians office. Have your dog/cat checked out for any other issues. Good training is also crucial to determine what is the issue. You can be very diligent in keeping certain foods away from you pet, however if the minute they go outside they start eating what is on the ground your hard work was for not. March is Women’s history month so let’s talk about a few of the women in history who have had a significant influence on the animal world more specifically pets. Elin Prince Speyer -1849-1921 Born in Lowell MA, founded the Auxillary American Society for the Prevention of Cruelty to Animals. This was right before the big depression when people were starving and unemployed. Elin worked hard to help the animals and pass laws to protect them. Today the Association of Prevention of Cruelty to Animals is the largest in the world. The animal shelters around the US can always use volunteers and donations of all kinds. Volunteers walk the dogs, play and socialize the cats and kittens, brush and feed the horses, cows, goats and chickens. They also get a variety of animals too many to mention here. Volunteers are needed to foster dogs and cats to make them more adoptable. The animal shelters such as Salem New Hampshire Animal rescue League and Cape Ann Animal Aid look for donations of foods, treats, old towels, sheets and blankets to make the animals more comfortable while they wait to be adopted. Dog brushes, shampoos, paper towels and cleaning materials are always a welcome addition. www.funlovingpets.com regularly donate to the animal shelters food, treats, supplements and old sheets. They will collect from customers to donate to the shelter of choice. In 1947 in the United States, the Association for Women Veterinarians (AWV) was founded by Mary Knight Dunlap (1910-1992). At that time, the U.S. had about 120 women veterinarians, mainly in and around New York City and in East Lansing, Michigan. this information came from the USDA.gov website. More and more women are entering into the veterinarian field. Colleges are more accepting of women and women are interested in becoming vets. Dr. Linda Dixon Reeve found herself as the only woman in her veterinary class at Cornell University in 1961 today there are 46,992 women veterinarians in the USA per the http://www.avma.org/ American Veterinary Medical Association. Do you see yourself or someone close to you going to veterinary school or helping out at a shelter? Tell us which shelters you visit most. Spring is nature’s way of saying, “Let’s party!” ~Robin Williams Do you love spring? How I love spring the air is fresh note I do not suffer from allergies. The earth is coming to life again after a winter of hibernation. The sun rises earlier in the morning and sets later in the day. The idea of spending more time outside playing fetch with my dog. 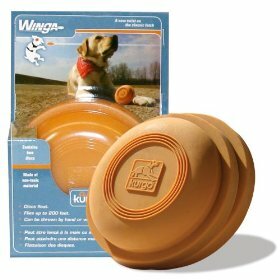 The Winga by Kurgo is a fun way to play with my dog. He loves to catch the frisbee and return it to me. Does your labradoodle, Golden Retriever, German Shepherd like to play fetch with a frisbee? The Winga allows you to throw the frisbee farther and is the right size. www.funlovingepts.com carries the Kurgo Winga. It takes the place of a chuck it no sticky drooling mess. Where do you like to play with your Rottweiler, Great Dane, Springer Spaniel, Labrador, Yorkie? Do you like the beach? Some of my favorite beaches are the Singing beach in Manchester, MA , Cape Cod National parks, Rye Beach in New Hampshire, San Diego Beaches. Where do you take your Golden Retriever to play? If you do not live or vacation near a beach a nice field or dog park is also fun to take your furry friend (Chihuahua, Beagle, boxer, pug, poodle). The Kurgo Winga is good for throwing the frisbee long distances. If this is not feasible the Humunga Stache is fun to watch your dog carry. Take a picture of your Cocker Spaniel carrying around what looks like a mustache. Now to a serious side of walking your Boston Terrier, Great Dane, Toy Poodle, Border Collie out in areas with traffic. Make sure they know how to stay with you and not to run out in the street. The high visibility vest are good for both you and your dog. They even have special sizes for a Grey Hound. You can pick your favorite color hot pink, bright safety orange, Bright blue, have matching vests. This will allow the drivers to see you as you walk. There have been people hit by cars because just as the sun is coming up or going down t hey are blinded and can not see the dog walker walking. I have a friend who lost her dachshund to just this. Someone was racing to Dunkin Donuts and did not see her poor little dog at the end of the leash. She now wears the high visibility vest and stays out-of-the-way of people racing for their coffee at Dunkin Donuts. Maybe you have seen this happen. What color do you like? How do you stay safe when walking your rescue dog? Here at FunLovingpets.com we research the foods and treats we offer to our customers. FunLovingpetscom started as a result of the large recall of foods that had ingredients from China. The foods, treats toys and cleaning products funlovingpets.com offers it’s customers are looked at from the eye of the user and pet owner. What do you look for in the food? A few questions to ask yourself when deciding on food such as California Natural or Innova, Evo, Canine Cavair, SOJOs. Does your cat or dog require a special diet? How old is your dog or cat? Here at Funlovingpets.com our dog is young. Do you have a senior dog requiring a Senior dog food such as special diet for senior dogs of Canine Caviar. Is your cat a kitten or a senior cat do you have many cats. Do they play or just hang out during the day. Innova Cat food has all the nutrition needed without the fillers. Take a look at the ingredients in the cat food watch out for ash and other fillers. If you feed cat kibble they will need lots of water. If you feed them wet or canned food they will only drink a little water. How active/ high energy is your dog or cat? Do you have a Greyhound or a Shepard, Golden Retriever, Terrier, Border Collie, Siberian Husky these all need a diet to accommodate their specific high energy needs. Evo wild nutrition or Karma 98% organic dog food maybe just the right blend for your active dog. Does your dog (Golden Retriever, Chihuahua, Shitzu, Yorkies, Great Dane) need one or two ingredient food? As with babies when you are trying to decide if you pet has a food allergy or is sensitive to a certain food you start with one or two food items. California Natural offers a lamb and rice mix that is very gentle on the dogs stomach. They also have a Herring and sweet potato mix good for the coat. Lots of Omega 3’s. The other option is to cook for your dog. The only problem is you need to have a balanced diet of the proper amount of protein and fat plus vegetables for your dog. 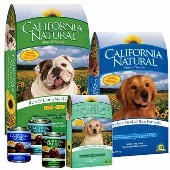 http://funlovingpets.com/california-natural-lamb-meal-amp-rice-adult-large-bites-dry-dog-food.html. If your dog gets lots of gas or upset stomach try a little pumpkin it works great. You only need a few tablespoons depending on the breed of dog or how big of a dog. Where do the ingredients come from of the dog food you decide on? It is important to not only look at where a product is manufactured but where did the ingredients come from. Was the chicken raised in China. Is it wild salmon or farm raised. The sweet potatoes how were they dried? The beef bones or beef in the food where was the cow raised and butchered. These are very important questions to be asking. Think in terms of the pollution level in certain countries. What will your dog or cat eat? Do you have a finicky cat or dog? Try getting samples of the foods you are thinking of trying for your dog or cat. It is important to slowly change the food your dog or cat will be eating. They do have sensitive stomachs and will need to be gradually moved to a new food. Many of the foods come in smaller sizes such as 6.6 pounds or 2 pounds to allow the gradual move to the new food. If you have other questions or concerns check in with your veterinarian! What fun it is to be out in the crisp cold fresh air with your favorite friend walking through a city like New York, Boston, Minneapolis, San Fransisco, Atlanta or a park or trail, the beach (Naples Florida, Cape Cod). Just think of the enjoyable landscape and your dog sniffing everything around or playing with a new friend. I can almost feel the sun on my face now. So now that you are out enjoying your walk how do you keep it safe and enjoyable? A few tips or ideas on making the walk safe and fun for you your dog (Labradoodle, Golden Retriever, GreyHound, Chihuahua, Black Lab, Bernese Mountain Dog, Great Danes). 1. The clothing you wear and you dog should be very visible nice and bright for any passing cars to see or if in the woods other walkers. Invest in a high vis vest for you and your dog. They come in special sizes even for Greyhounds with their long lean bodies. (www.funlovingpets.com has some good choices) When walking at night include a flashlight or headlamp for extra protection. The number of pedestrians hit while walking has increased. 2. Keep your dog leashed (Yorkies, cocker spaniels, English Setter, German Shepherd, Terriers) and close to you. Ever have the problem of the dog walking you instead of you walking the dog? One training tip is to keep a yummy treats in your pocket (Grizzley treats, Salmon Jerky, Cheese, Canine Cavier, wholesome Dog) at random as you walk offer a treat to your dog and at other times a pat on the head. Your dog will never know when a yummy treat will be given. They will stay close to you incase you are handing them a good treat. Put a command with the treat such as come or heel so they recognize the sound with the treat and your expectations. 3. Be a responsible pet owner, no one likes to be walking and step in dog doo. Bring along something to pick up the leavings and bring an appropriate size bag. No need for a big bag with a small dog such as a Chihuahua or Maltese, Silky Terrier, however if you have a large dog Great Dane Bullmastif, Newfoundland than you need a much bigger bag. 4. Travel with all of their tags license, rabies tag, ID. Keep them on the dog. If you frequently change collars try the Klip It. the Klip It allows you to keep all the tags on the Klip It and just switch the Klip It to the new collar. No need to fight with each tag individually for changing. Also your dog (Dashund, Beagle, Bulldog, pug, collie) is easily identified if they get loose.